All the crew and cast turned up promptly on the first day, except the director, who came down with flu the day before: typical. It transpired that the crew and cast had no need for his services anyway and Alex and the mo-cap team soon had everything up and running with the fitting and calibrating of the borrowed VICON super cameras. They provided fantastic coverage of all 4 actors at once, even with our set props occluding some of the action. No mean feat. This was a massive relief, as we hadn’t tested any of this kit and if it hadn’t worked with all 4 actors and set, we would have had a very short shoot! Meanwhile the rest of the crew got the actors suited up and tested out shot process with call sheets,props, set, facial cameras and audio and made ready to roll for the next days shooting. The following days saw us finally getting our teeth into shooting the film, and with some great performances down (including some splendid “wolf” fights on day 1) We got a good few of the early scenes in the bag. By Friday the set was running like a well oiled professional film shoot, which is testament to the hard work and dedication of all involved, as it’s a particularly complex process performance capture: It involves separate audio, facial and body capture with all the attendant umbilical cords and re application of face dots and markers etc. having be coordinated simultaneously. The sickly director dragged his sorry frame in on day 2 and croaked his way through the weeks directing, whilst attempting to not infect the actors and crew. Time will tell how successful the later was, fingers crossed. By Friday every one was tired but excited, as it has been a fantastic first week. Let’s hope it all goes as well in week 2. So, we’re now a week into on set production. 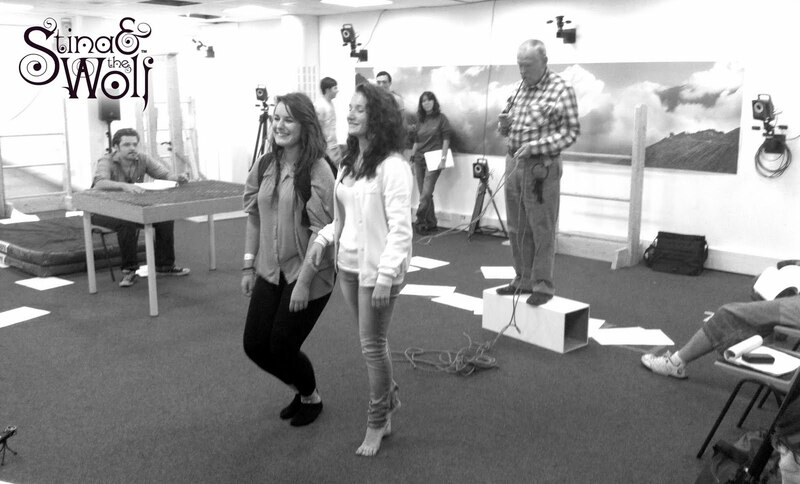 The mocap stage is finally in use with motion,facial, audio and set pieces all working well. We’ve been rehearsing hard with the actors, who’ve succeeded in bringing life to the scenes in ways well beyond what’s apparent on the printed page, crafting some vivid characters in the process. 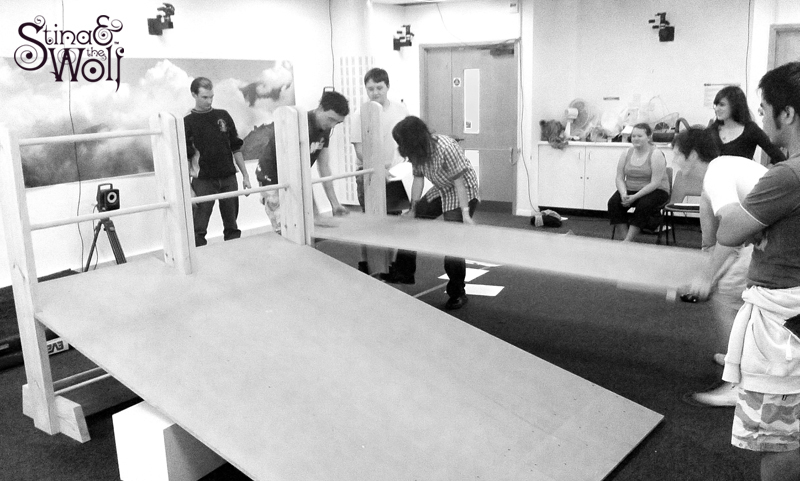 The crew have been particularly patient, working around the rehearsals and jumping in to action to build sets and test capture for the shoot next week. Special thanks go out to them, as they’ve had to do a lot of waiting around this week. All in all Its been a very useful preparation for the shoot, with all the major scenes now rehearsed and blocked out and most of the kit tested. Next week we start filming. Its going to be hard work I suspect, but a lot of fun. Next report after we’ve wrapped in September. Paul here with a lot to report since my last post. Our research trip to the Carpathians was a great success and proved once and for all that lecturers have a much higher level of general fitness than the youth of today, with myself and Jackie bravely leading the assembled student throng up a mountain with not so much as a nibble on a bar of Kendal Mint Cake. (Although we were forced to eat snow after the gallons of fresh mountain spring water promised by our Turkish/Romanian host failed to materialise. I’d recommend Kendal Mint Cake for future ventures) The landscape was stunning and when not resting, the students collected a great array of visual research material which is already proving invaluable in concept art and environmental design (see below) and should give us an excellent texture library. Our hosts were marvellous and kept us stocked up on local delicacies, hookah cherry pipe tobacco and almost infinite amount of sheep’s cheese, also patiently accommodating our daily requirement for “English Tea”. Their dancing also far surpassed our puny English efforts. Other exciting news: We have been lent an additional 8 top of the range motion capture cameras by VICON for the whole duration of the shoot (By top of the range i mean each one is worth twice what I earn in a year; students please don’t leave your energy drinks on these cameras) giving us a total of 20 cameras to cover our new larger mocap stage. According to Alex, our motion capture supervisor, they are pretty much the best motion capture cameras available to humanity, so we should be able to capture every nuance of the on set performances. The script is now locked for the shoot, having had a quite a few tweaks and revisions (21 to be exact) resulting from a varied and reassuringly positive range of feedback (Thanks to all those who took the trouble to read and feedback) Particular thanks go to John Brice (http://www.solent.ac.uk/staff-profiles/John-Brice.aspx) who gave up many hours of his time advising, emailing and giving inspiration during the revision process. We now have a full cast with the final addition of Martin as the Pipe Catcher; An actor of stage and screen with a wealth of experience in TV and theatre and the owner of a rather splendid voice. Rehearsals start on 25th July and shooting starts the following week ending 25th August. 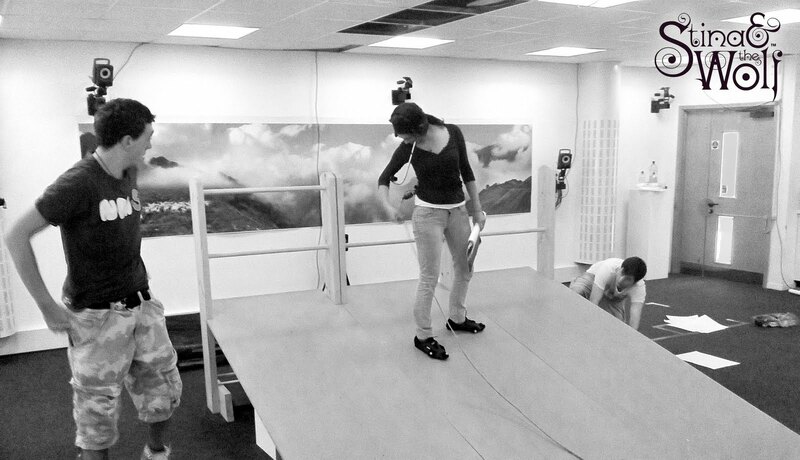 We are spending the remaining 4 weeks frantically making the final preparations to our on set pipeline and the mocap stage. It’s going to be an incredibly busy time but it’s all very very exciting, as we are finally putting everyone’s hard work into action and making the movie we’ve been planning for the last 2 years. It has been many moons (well 2) Since i last posted. Well things have been fairly hectic as we approach full production. FOAM digital now has 35+ people and we no longer fit in our meeting room, so we are looking to move from our existing premises (lecture room) into another premises (a bigger lecture room, if no one else is using it) Production has started on the construction of set props for the motion capture shoot and it looks like we’ll be able to create something resembling a set for the actors; window frames, doors, mantle piece, table etc. as well as 2 adjustable 8 by 3 foot ramps that we can use to make different surface inclines.. No really! You are on a steep mountain meadow!! We also now have a complete first draft of the screenplay which is presently undergoing revisions. Our Art director Jackie has already scribbled all over it with art related requests (demands). So it will hopefully at the very least look good (arty). We now have a rehearsal and capture schedule that takes us from 25th July through to the 25th of August. This has been a particularly challenging task for the director, as he has found scheduling 45 scenes, with 8 actors, conflicting holidays, differnt combinations of actors in each scene and different set, prop and capture requirements akin to solving a 50 sided rubiks cube, underwater, whilst tap dancing. However, after a few nights of blankly starring at an excel spread sheet that is now too big to fit on a 40 inch plasma screen, we have a fairly concrete timetable for shooting. Still lots to do, as we still need to organise some of the more technical aspects of each scene and dry run the audio, facial and motion capture processes so we can keep the shoot moving along smoothly. Talking of dancing, We now have a new role in the team: student Natalie Curds has joined us to help organise some of the dance elements of the film and presently has the title “Mistress of the Dance” until we can work out what her job’s actually called. We also have a Music student, Thomas Duffin, who has offered to start looking at sound design, which will form a vital part in the overall narrative and atmosphere of the film. Also, our facial capture guy Geoff Samuels contunies to deveop his software and its coming along nicely; I know this because i now no longer fully understand his descriptions of how it works. 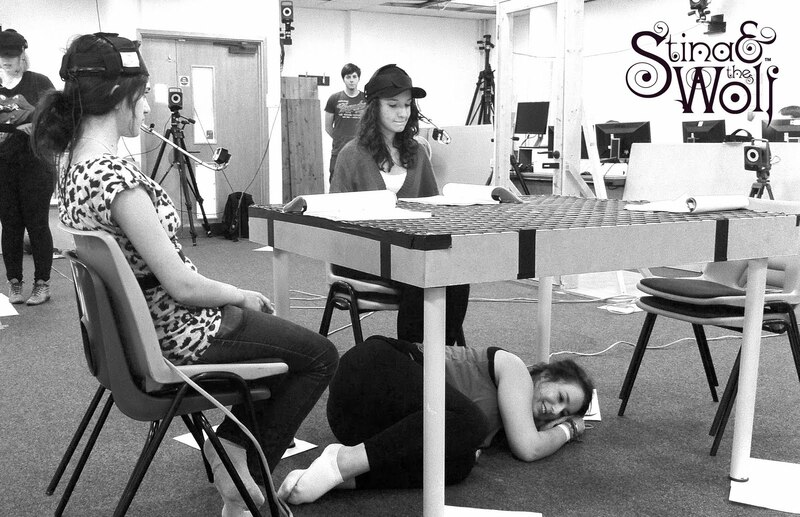 Cast news: Steph from our Gregg school contingent has now taken on the additional role of Stina’s Aunt. We have a new character: a boy in the village called “Petov” who we are now looking to cast as soon as possible. We have also started auditioning for the role of “Pipe Catcher”. All other roles are now cast. On the 2d art front, Dan Little our graphic artist has provided us with new logos for “FOAM digital” and “Stina and the Wolf” which are a vast improvement on the ones i knocked out last year. Other FOAM news: We now have a very large asset list for FOAM of all the characters, models and environments required for production. That should keep us busy for 25 years or so. Also, team members are now booked on to flights to Romania, so we can experience the Carpathian mountains for ourselves and hopefully bring some of that experience back with photos, drawings and video. (travelling out in 2 groups on 2 consecutive days.. the joy of on-line booking) Myself and Jackie will be flying out with 9 (at the last count) students. That’s all for now folks. After a brief break to celebrate the hallowed festival of Winterval, the team is now cranked up and is back up to speed producing film related stuff. We now have 3 functioning facial capture systems with accompanying Velcro straps and expertly sewed nylon strapping and have the talented Geoff Samuels doing some kind of magical giggery-pokery on the computer that will allow us to interpret the facial recordings into usable animation data. We’ve tested them all out on the actors, which went well once they had stopped laughing at the prospect of having hand stitched Darlek antennae strapped to the their fore-heads. 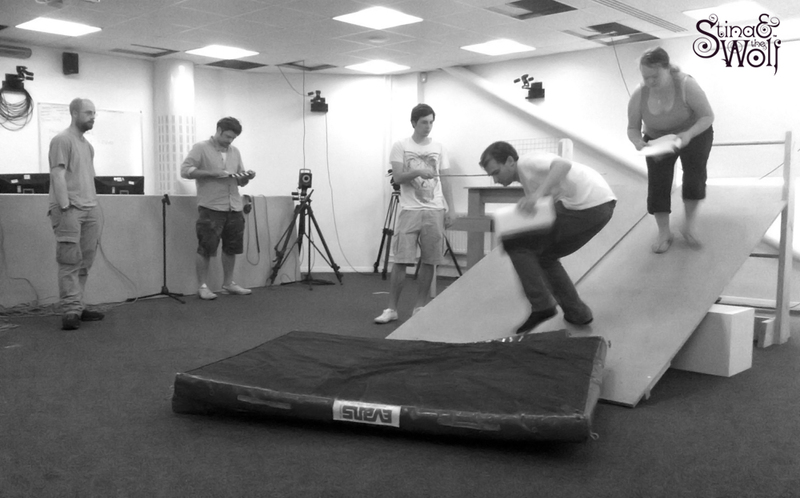 We now have the performance capture session scheduled in for July – August, accompanied by the reassuring knowledge that the planned 5 story university extension, being constructed opposite the motion capture studio, is well behind schedule; so we won’t have the expected sound track of pile driving steel girders while we try and capture our actors. 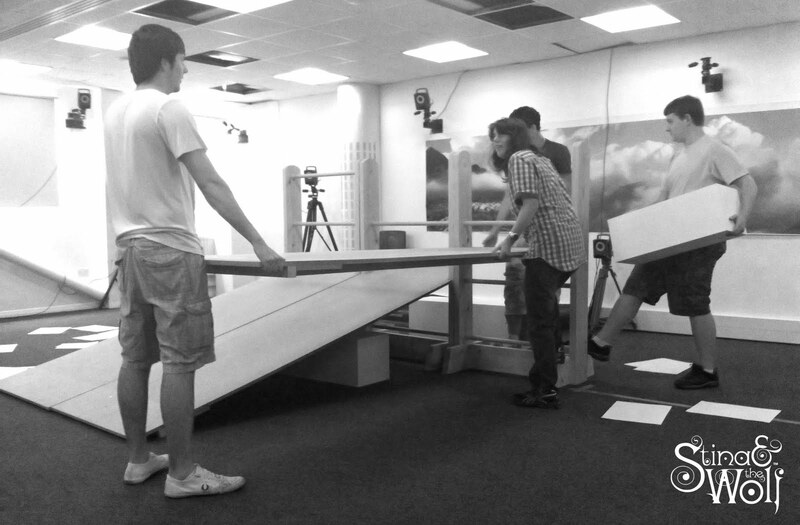 We have, however, discovered that the university is keen to completely replace the air conditioning system in the mocap studio the month we are capturing the film data. This is in the process of being forcefully renegotiated. Regarding the script we now have a solid first act blocked out on a scene by scene basis with the rest of the film tightly plotted, but without scene level detail. We are confident the first draft will be finished by Easter and have lined up a collection of notable film industry gurus to give us feedback and help us iron out any loose ends by the end of June. The work at FOAM is slowly cranking up to full production speed and we have a visual research trip to mount OMU in the Carpathian mountains planned for the Easter holidays, that should hopefully prove inspiring and useful, so long as nobody strays from the path or develops a fondness for the cheap Romanian wine. 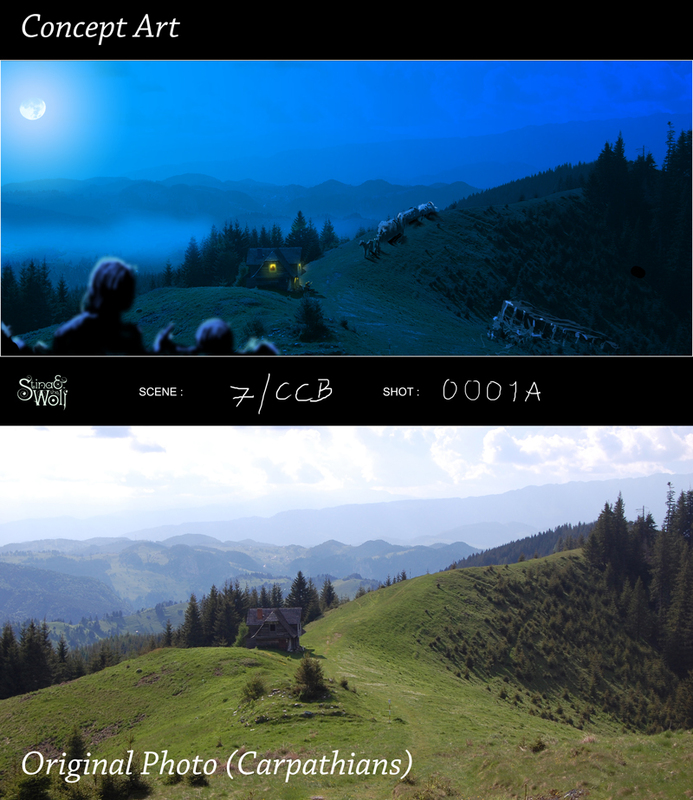 The work in Environments is going well and we have some excellent Carpathian mountain environments coming from Harry Ellard and some very spooky caves coming from Sam Hoffman. We now have a generic facial animation system for the creatures department who will be modelling all the characters and their accompanying faces over the next few months (from the wonderfully weird and disturbing designs coming from our production designer Chavdar Yordanov) Our actors have now had their pictures taken and are in the process of being turned into virtual CG characters (with a few tasteful design additions from Chavdar) All for now. The Stina facial animation rig is now finished (finally!) and has all the functionality of the Gollum rig from Lord of the Rings (that it was initially based on) with a few automated extra features (such as automatic proximity based lip meniscus) that should make the 80 minutes of screen time vaguely feasible! We are now planning to build a full facial capture system to save us having to hand animate the whole 80 minutes (i.e. 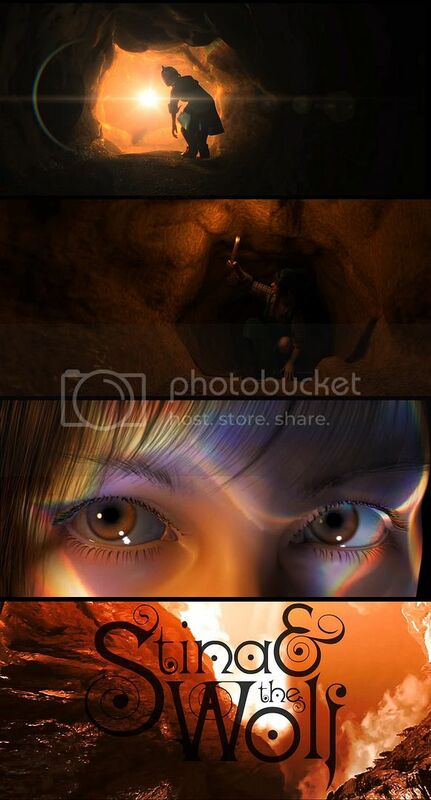 how Gollum was done – Incredibly time consuming) We’ll still be doing a clean up pass in Animation from the original filmed reference, but this should cut production time down radically. We’re relatively confident this can be done by FOAM without contracting externally. We’re presently chatting to various companies about their experiences doing facial capture and have a talented PHD student starting on the capture software full time in February; plus a wealth of knowledge on fuzzy logic systems within the university. This will hopefully form the backbone of the system. It does mean, however, that our actors will all have to have face casts made and have a camera (light weight honestly.. modern technology init! they won’t even know its there!!) strapped, very comfortably, to their heads. This month we also cast our first male role GUNTER, who is to be played by the talented actor David Taylor. David is a professional actor with a wealth of experience in theatre and film. We did some workshops at the Gregg school with David, Becky and Lucy (who play Stina and Gunter’s side kick Olaf) and were very encouraged by the dynamics coming out of the session. It gave us some great ideas to enrich the screenplay. We’re also continuing with other workshops with the other cast members and its great to see them starting to inhabit their characters. And well done to Evie for putting up with all the ill people last week! Particularly as the last session rather dissolved into a flu infused laughter session by the end. FOAM has taken on some new staff this month, with the ranks of MODELLING, ANIMATION, CREATURES and ENVIRONMENTS now up to respectable numbers: good work here John! The dept. leads are now leading their teams effectively and the work seems to be flowing from everyone. Good variety of stuff on show at dallies this week. We also have a new architectural student, Henry, who has joined as a production designer and is helping us fix the art work bottle neck by designing the village and surrounds. The effects on the film are now to be provide by the newly formed FOAM Digital, an effects facility imbedded within the faculty of Creative and Cultural Industries at Portsmouth University. The departments have been hard at work developing 3d assets for the production. The script is still under development by Red Rabbit Films and we are aiming get the first draft down by the end of Christmas. Concept and production art are still rolling out and we are aiming to accelerate the production of this in the next few weeks, as it’s starting to create a bit of a bottleneck in the production process.